Looking for a caffeine-free alternative? Try Chinese Herbal tea. Chinese Herbal tea contains herbal tisanes formulated to taste delicious and refreshing while helping to keep your mind relaxed and body rejuvenated. The Gingko tree is popularly known as silver apricot and long life tree, being is one of the oldest plant in the world. 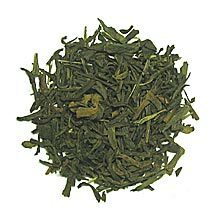 Gingko tea is prized for its properties to improve memory, reaction time and mental clarity. It is also known to increase blood circulation, metabolism and helps relax constricted blood vessels. The fragrance and taste feature woody and nutty notes. It has a subtle yet sweet aftertaste.